I've revisted this subject, given it more thought and totally rewritten it, including covering more films, here. I had an email asking me about films featuring Joshua, and so I thought I would post up an expanded version of my reply. The most famous appearance of Joshua in the movies is John Derek's portrayal of him in DeMille's 1956 version of The Ten Commandments (pictured above). In many ways however Derek is playing a semi-fictional character. Joshua is only an occasional character in Exodus. Whilst later books significantly develop his character we're told precious little of his early life. DeMille invents a good deal, but the film itself has little to say about the man who conquered Canaan. But aside from this incarnation, the book of Joshua is largely ignored in Bible films. It's perhaps not surprising given it's difficult subject matter. The only live action dramatic version I am familiar with is the Joshua at Jericho, from the Greatest Heroes of the Bible series. I discussed this film at some length then. It's a particularly interesting example of how Bible films distort the original text to make the stories they portray more palatable. So this film talks about Jericho being controlled by ruthless Hittites who committed human sacrifices; various ethically dubious acts are shown occurring inside the city; Jericho's king is annoying, childish, overweight, whining and ultra camp; whilst the head of the army is proud, stubborn and arrogant. There's even a scene where the Hittites steal the Israelites' children in order to sacrifice them to their gods. In essence, the film does everything it possibly can to demonise the residents of Jericho and paint them in a negative light. The portrayal of the Israelites in the Bible is hardly balanced, but it is much more shades of grey. We're told little of the Canaanites other than that they worship the wrong Gods and that they possess the land assigned for Israel. The changes made to the film polarise the respective camps into shades black and white, such that it's almost impossible to feel sympathy for the residents of Jericho who's major crime is living in the wrong place. This film is still only available on VHS, but there are copies at Amazon. Otherwise, all there is is a four cartoon versions. I'm familiar with three of these series, though unfortunately not the episodes in question. 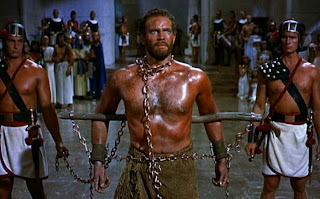 The Greatest Heroes and Legends in the Bible is best known for featuring Charlton Heston's voice, and as you might expect it plays it fairly safe, with no cartoony gimmicks. That contrasts quite strongly with the Greatest Adventure Stories of the Bible series by Hannah-Barbera which frames each episode with a Quantum Leap-esque linking story introducing the gang of modern day children who will experience these events first hand. I call these stories the Scooby Doo versions because several of the quirks of that series have been reused here. Then there's the Beginners Bible version which is linked to the children's Bible of the same name. I've not yet worked out which of these came first, but both sanitise the text often introducing banal elements into the bargain. I discussed the Daniel entry in this series a couple of years ago as well. Lastly, there's also this film that turned up searching Amazon, but there's little to go on. That said, Joshua does feature in some of the documentary films about the Bible. I don't, at present, have time to list them all, but I know there's a good deal of coverage of this story in The Bible's Buried Secrets which I reviewed last year and which is currently available to buy. Other than that, there's not much to go on. I suspect, however, that the story might make a fleeting appearance in The God Complex, and that it may not be long before we see a subversive version of this film, which portrays Joshua as a villain. Who knows? Just came across this title on Amazon searching for films about Joshua. 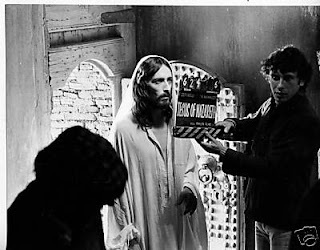 Released the year after The Passion of the Christ it was one of the many films to try and present itself as the anti-passion film. The Passion Of Joshua The Jew traces the journey of a young scholar, believed by an influential rabbi to be the new Messiah, across land and sea, encountering believers of the Qur’an, the Gospels and the Torah, to his tragic destiny, paralleling the fate of Jesus of Nazareth, another Jewish scholar who fell victim to prejudice masquerading as authority. The Amazon page also includes this customer review which tells us a good deal more about the film. In 1492, Queen Isabella and King Ferdinand declared Spain to be a Roman Catholic country, and that the Jews and Moslems who had peacefully coexisted as Spaniards for centuries were now given three months to leave the country...for good. 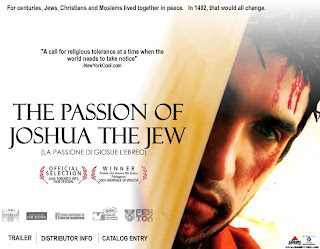 THE PASSION OF JOSHUA,THE JEW is a very clever film that delves into the historical aspects of two families,one Jewish and the other Moslem,who had been friends and take different paths eventually in fleeing Spain.The script,though, centers on the Jewish family and they head for "safe haven." What essentially is the crux of this film is the family's arrival in a town where they must disguise themselves as Christians at the feast of "The Carazza" or Passion Play.This is the event of the Easter scene each year and everyone has a part.What so cleverly and sadly happens is when the son,Joshua, plays the the part of Jesus, The Messiah, actually believing that he IS the Messiah!.It ends up rather tragically. This film is a clever and stinging indictment on the Catholic Church and their persecution of the Jews in following years leading into The Inquisition.This is an odd,yet very interesting twist on how the Spanish Inquisition was very much another 33AD Passion Play gone bed!.Unique and highly recommended. That this film quotes and apology from the now deceased Pope John Paul with an apology to the Jews for The Catholics part in their mistreatment is all the more poignant at the conclusion of this film. Aspects of this sound similar to the 2002 film Inquisition starring Derek Jacobi, which was based on the short story "The Legend of the Grand Inquisitor", from Dostoyevsky's novel "The Brothers Karamazov". Producers Xenon pictures deal with a lot of Spanish related cinema, and the trailer and the host of Spanish-sounding actors' names suggest that not only will the film be set in Spain, but that is also seeking to give it a Spanish feel. Bland direction is the least of the sins perpetrated by "The Passion of Joshua, the Jew," a historical pic billing itself as the anti-Gibson "Passion" but in reality little more than recruiting propaganda for Jews for Jesus. Conceived by helmer Pasquale Scimeca as a salvo against anti-Semitism, pic doesn't know how to handle its theme, and ends up championing the concept of the Christianized Jew rather than the universality of a Jewish Jesus-like figure during the Spanish Inquisition. 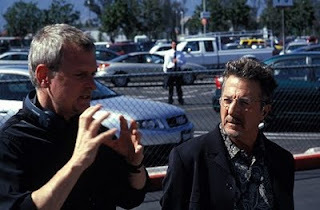 ...the pedestrian nature of his screenplay, coscripted with Nennella Buonaiuto, also works against any well-meaning aims. Heavy-handed parallels between the Inquisition and present-day, with Jews and Muslims pointedly shown as brothers-in-exile, pushes the bounds of preachiness. Scene set-ups lack spontaneity. Both reviews mention the leading character's involvement with a passion play so it appears that this film also plays around with some of the ideas in Jesus of Montreal. The links between this film and Passion of the Christ, Inquisition and Jesus of Montreal might be enough to tempt me to overlook the Variety review and invest in a copy. Watch this space. After almost 4 years of hearing me talk about my blog, my wife, Mel, has finally caught the bug and launched one of her own. Pnuema Drawing catalogues some of her new work "exploring drawing through developing repetitive mark making processes". Sadly the images are appearing blurred on the front page so you have to click them to see the detail. The above is just a section from "Weapons of Moderate Destruction"
I'm a bit pushed for time this week, but I just came across an interview with Franco Zeffirelli in the New York Times. Thanks to Mark Pedro for the above photo and Peter Chattaway for the tip off about the interview. There's discussion amongst some of the other bibliobloggers about the story of Elisha and the She-Bears. Given that this is exactly the kind of story I'll be looking at in my Greenbelt talk "Biblical Horror Stories for Children" It was all started by David Ker who used the post as part of his Bad Boy Bible Studies series. The series viewpoint is that "Old Testament stories tell us more about humans than God. 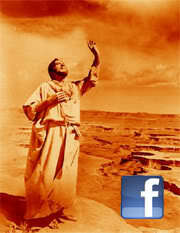 But that revelation comes in the context of a long trajectory of God’s dealings with humanity". I sort of agree with that, but the problems, for me at least, seem to come when Ker starts to apply them. Essentially Ker holds that "The correlation of Elisha’s curse and the youth’s misfortune is purely coincidental." The problem is, for me at least, that whilst the author never states a connection outright, it is clearly implied by the plot requirements of the story. Firstly, as Ker actually states, the author "is establishing Elisha as the inheritor of Elijah’s power". But the source of this power is meant to be God. Secondly, if this event was interpretated as being purely coincidental, it's hard to see why it was included. Imagine if the bears hadn't taken action, would the story have merited a place in the Bible? Personally, I doubt it very much indeed. The Bible is history theologised. Coincidences are of no consequence. Thirdly, the specific mention of Yahweh's name (as opposed to merely saying that Elisha cursed them) prefigures that which is to come. Fourthly, and I concede I'm not best placed to state this, but my understanding was that in the mindset of the time, coincidences such as these simply didn't exist. God was responsible. To my mind, only those who start with the presupposition that the author couldn't possibly view God as responsible for such an horrendous act can conclude that. Of course using the phrase "the author" raises the question of which author is intended? The person who witnessed the event? The first person to write it down? The person that wrote in the form we have in front of us? The book's final editor? Or all of those involved in the complex process of this story ending up in our Hebrew Bibles. "It’s all very well saying “not everybody in the Bible is perfect or to be emulated” but when it’s implied that it’s God that does the killing then it’s another matter, surely? God’s action on Elisha’s behalf endorses, rather than opposes, his desire for vengance, which is why it’s such a troubling passage, for me at least." I'm already regretting the use "it's all very well" which sounds Tom-Wrightily pompous and a little angry and shrill, but I can't edit the comment. Sorry Doug. In Bad boys and big bad bears, Peter Kirk has a different approach. For him, Elisha "had within him the power and authority of God, with which he was able to pronounce a curse on the boys which was not mere words but had immediate effect. God answered it by sending the bears even though that was not a good thing." I think I find this answer a little more honest, but also a litle more troubling. In essence it says that God was responsible for killing the youths, even though he thought it was a bad thing. I suppose "responsible" is a bit of a slippery term. Kirk would presumably say that God delegated this power to Elisha, but Elisha abused it. I can see that point, though I'm a little unclear on how this power works (aren't we all?). The problem with it for me (assuming this never passes across God's desk prior to being actioned) is that this story is so consistent with other passages in the Hebrew Bible which portray God as the driving force for similarly brutal acts. Whilst I know chipping away at each difficult story in turn is a popular approach, after a while it just becomes clear that this is just an attempt to clear the Bible's name one step at a time. Rejecting or mocking the LORD's anointed (Elisha) was the same as rejecting or mocking Yahweh himself. That is the take-home point that I would use for a Sunday School class. Still, it is a bizarre story. 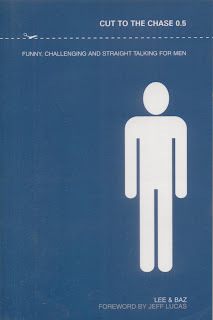 I recommend you head over to read James McGrath's 11 different angles on this text. Here's my favorite. Given that my Greenbelt talk will be looking at how unpleasant stories get taught more in children's groups than in grown-up church, the mention of Sunday School obviously stood out. Suffice to say I'm unlikley to send my kids to that particular class. That said, if you are seeking to justify this story then it seems to me that Mangum's take is the most coherrent linking this in to other places where God punishes people for mocking him. Three questions remain for me, however, firstly the proportionality of the response. 1 insult, 42 deaths seems a bit disproportionate I suppose. Secondly, exactly how proven is it that "rejecting or mocking the LORD's anointed (Elisha) was the same as rejecting or mocking Yahweh". It seems like a big assumption to me. Why did this not happen to Jesus, or today, or to Nehemiah? Finally, as is often the case with these passages, it's the inconsistency that is a problem. I guess I just touched on that, but why is this such an isolated example? Why doesn't it happen today. Meanwhile, Tim Bulkeley sums up his theoretical sermon on it as "life is not fair, get over it!" in Watch out or the bears will get you!. He does apologise for the shortness of his response, but even so, seems to have overlooked the fact that the boys in question would not ever have the chance to get over it as they'd be dead. As Bob MacDonald sheds some fascinating light on the language of the passage but leaves aside dealing with the actual question I'll move straight onto James McGrath's roundly praised response Bad Boy Bible Study. McGrath lists "11 semi-serious and not-so-serious approaches to the text that...are worth trying out". My own response is to say that whilst the event was interpreted as an act of God, it was, in reality, a coincidence, the timing of which was so terrible that it stuck long in the minds of those who witnessed it, and was re-interpreted as an act of God as those who wrote and re-wrote it. I guess most atheists would agree with that interpretation. The more agressive atheists out there would delight in citing this passage as evidence that the Bible is inconsistent, presents an angry vicious God and is therefore made up. But even though I sometime wonder if I should really be called a Christian agnostic, I find I can't accept the Godless explanation so readily. For me the crucial point is that the Bible is inspired (though, as someone else in this discussion pointed out, it's not always inspirational), but that the story of God was revealed gradually from a starting point that was very far away from the truth. From an initial viewpoint whereby God was a localised deity, petty, fickle, venegeful, only on the side of his people and able to be bribed as to what to do, whereas, in reality, none of that uis true. It was a long drawn out process even to get to the point whereby Jesus could come and enough of it would stick, and the process of God's gradual self revelation is still going on. In terms of this specific passage the lessons for us are different for the lessons for its original audience(s). For them it spoke of God's power, his faithfulness to people (I doubt the victim's side of things would have crossed their minds), that he listens, that he is active and so on. And many of those things we can take away from it as well. For us though, aside from is being another small piece of a large jigsaw, there is something significant about the fact that the final version of the text omits the link between the curse and the bears' action. Not because in doing so it gets God off the hook - it doesn't and there are many other places in scripture where that link is made explicit - but because it's a gap in the text which God's light shines through. The text fails to make the crucial connection when, by it's own rules, it really should have. It's useful historical evidence of the fact that these people's knowledge of God was sorely incomplete, and indeed, it's also a reminder of the fact. That's doubtless a bit woolly, but I guess I see God's revelation as being very gradual and limited by what is, in my mind, a flawed humanly produced (but God inspiured text). To keep this relevant to Bible films, if you've not seen Don't Dis Elisha from Extreme Bible Stories, then you really should. It's very South Parkian, and all the better for it in my opinion. Oh an my Greenbelt talk will be 6pm on Sunday 30th August in the YMCA tent. The Hollywood Reporter has more details on Mary, Mother of the Christ. Joining Al Pacino (Herod), Camilla Belle (Mary) and Peter O'Toole (Symeon) will be Portuguese actor Diogo Morgado (Joseph) and Julia Ormond. 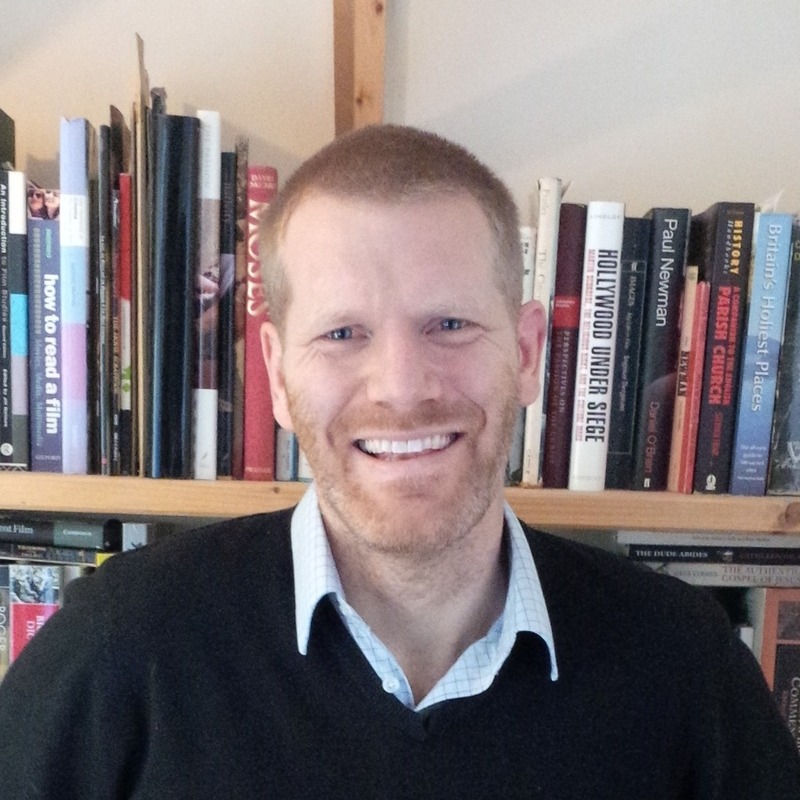 It also names James Foley (pictured above) as director. Foley has a number of well known films behind him including Madonna vehicle Who's That Girl? and the excellent Glengarry Glen Ross. Filming is due to start in October. Thanks to Peter Chattaway for the tip off. Whilst I'm talking about Mr Chattaway, I should also congratulate him for winning the award for Best Column of 2008 at the Fellowship of Christian Newspapers (North America) - for his film column for BC Christian News. I've just come across a top ten list of Bible films by someone called Elizabeth Fletcher whose Top Ten Bible site lists top tens of everything from bad women to young people. Curious Fletcher only lists 9 films, but they are all fairly good choices. with a nice mix of Jesus films (Gospel According to St. Matthew, Greatest Story Ever Told, Passion of the Christ, Jesus of Montreal), Hebrew Bible films (The Bible, The Ten Commandments) and Jesus Cameo films (The Robe, Ben Hur, Life of Brian). I've not had a chance to read the text yet (I'll save that for later), but there are some good images, some of which are publicity shots that I've not seen before. There are also some images from the colourised version of Pasolini's Gospel According to St. Matthew) which only serves to confirm my misgivings about that particular project. I can't help but look at them though, not least perhaps because of their oddness. If anyone's interested, you can view my own top ten list of Jesus films. I'm going to be a guest on Premier Christian Radio's Big Breakfast tomorrow (Sat. 8th August 2009). Apparently, I'm being interviewed off-and-on in between songs over hour or so. I'm mainly there to discuss Greenbelt and my forthcoming talk there, but I think we're also going to talk about Bible films as well. Following in my footsteps on the Sunday breakfast show is some guy called Gordon Brown. I imagine he'll be listening to my show to pick up a few tips. It doesn't appear that the show is archived, but you can listen live online or catch it on 1305, 1332, 1413 MW (this may just be Londoners), or on DAB, and it apparently is also available on the TV (Sky Digital 0123, Freeview 725). I've been told it starts at 8:15am (British Summer Time). 2007's animated version of The Ten Commandments may have been something of a first, but it was only a matter of time before computer animated Bible films were popping up all over the place. FilmChat has news of another - the first CGI film to be made in South Africa in fact - Lion of Judah. In comparison to The Ten Commandments it's taken on a somewhat easier task. That film was widely criticised for what was perceived to be substandard CGI. It's far more difficult to animate humans well with CGI than it is to animate animals (for example it wasn't until The Incredibles that Pixar used animated humans as the lead characters). So it's a wise move by the makers of Lion of Judah to focus on a story about a group of farm animals and the titular lion instead. Unusually, that's just about as much information about the film's plot as there is on its official website. There may be a trailer, a guide to the characters, screensavers to download and a few other bits and pieces, but there's no mention of the fact that this is a film about the Easter story. At least, that's what the IMDb says. Indeed even articles in Variety and Cartoon Brew seem to skirt the issue. It looks like the film is trying to promote itself purely as a goofy animated movie with loveable animal characters, citing the odd known actor (Ernest Borgnine, Michael Madsen) along the way to appeal to the adults. I can see why that makes good marketing, although it may be that the publicists reveal more about the film's plot as we near the release date. The one point that will interest Jesus film fans though will be the news that Bruce Marchiano of the Visual Bible's Matthew and Acts will be reprising the role of Jesus. Marchiano is, of course, still trying to raise funding to make his own word for word version of the Gospel of John. The Visual Bible films were filmed in South Africa by the South African director Regardt van den Bergh so I can't help wondering if there is a connection there somewhere. Brendan O'Regan sent me a link to Plugged In Online's review of the pilot for Kings. Brendan himself has now posted his own thoughts on episodes 2-4. Jim West has posted the 44th Biblical Studies Carnival covering posts from July. The latest list of Top 50 Bibliobloggers is also posted which, in actual fact, now goes all the way down to 232. I'm down at 88 and wondering how I ever made it to number 20. I'm very curious to know how a list firmly based on hard data varies so much from month to month. Will I ever get to number 20 again? And where do I really deserve to be? It would be interesting to see the list compiled over a 12-month period rather than month by month. Or at least for there to be web banner that says "I'm a top 50 Biblioblogger (occasionally)". Oh and I love NT Wrong's pretence that it's Jim West being played by one of my comedy heroes David Mitchell in this wonderful sketch. NT/Mitchell devotees will also appreciate Mitchell and Webb's take on the Good Samaritan.